Rashmi has an accomplished career as a senior executive, entrepreneur and investor in the technology industry for over fifteen years. She has held several leadership positions in companies in the telecom and software sector and has deep experience in start-up operations, international expansions, business strategy and venture financing. She has provided and continues to provide strategic advice, investment counsel and visionary direction to large private and public companies globally at the senior management and board level. 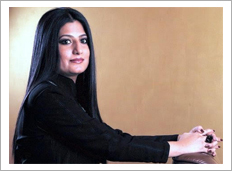 Rashmi is also an accomplished and an active social entrepreneur. She has invented a unique science- Aashwasan Science and has discovered many tools and techniques. Using these tools and techniques she has achieved many breakthroughs in palliative, curative and reversal in health conditions. While on the path of transforming lives, Rashmi has been recognised globally for her contributions to mankind and has won many awards such as Iconic Leader world (by World women economic forum), Top 50 social innovators worldwide, Peace award et al. She continues in her mission to transform organizations by inculcating humaneness and enhancing the well being of organizations worldwide. 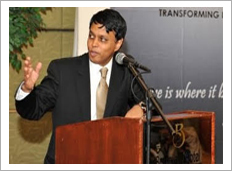 Ravi has been a pioneer of knowledge management and business process modelling. The innovative process capture technology that he conceptualized and developed was instrumental in creating the rapidly growing performance support industry which is the foundation of today's business process mapping, knowledge management, real-time e-Learning and performance improvement enterprises. Ravi is responsible for a host of software, technology and product innovations including the development of modeling and charting software and the creation of original multithreading concepts found in today's relational databases. Ravi's success as an entrepreneur and a business leader lies in his ability to transform these innovations into pioneering and successful products that are globally sought after and used by the world's best performing companies. He holds a MS in Engineering from the Indian Institute of Technology. Sudhir has over twenty years of experience in the software industry in the US, Europe and Asia. Previously he was Regional Vice President of Epiance based out of New York. Prior to that Sudhir held key positions in Sales, Marketing and Consulting with several US based start-ups as well as large companies, including as Vice President at FirstRain and Director of Marketing at Opus360. He also held sales and consulting positions at Information Resources Inc and Metaphor Computer Systems, a wholly owned subsidiary of IBM. Sudhir has an MBA in Marketing from JBIMS, University of Bombay.